I almost do not want to write this blog. I just wanna go straight to the lineup I want for the next match on 13th Dec and be done with it. I will just write a few words. If you saw the match you would know exactly what I am feeling and why. You would think with the Indian Captain away getting married and all, the players would wanna make him proud and prove that they are good. They behaved exactly like how unsupervised toddlers would. Saying that it was not a happy day for India is putting it as lame as possible. It was honestly heart-breaking. 112 is always difficult to defend, even in a 20 over match. Sri Lanka used the conditions of the ground and the weather to their advantage. The weather report almost confirmed rains. The Indian Batsmen were made to play in fairly uncomfortable areas. Straight lines. Good lengths. No catches dropped. Catches win matches as the famous proverb in cricket goes. It was an easy target. Sri Lanka were never in any trouble. Course had they lost it would have been worse for them. Sometimes, winning a high target match does not have the same kind of pressure as chasing a really low score. Sensible and steady play by Sri Lankan players got them to the target by the 21st over. Sri Lanka wants to prove that they are not going to let the defeat they faced in their own backyard get to them. They are here with a bigger goal. To show they can be the lions they once were back in the 1990s. Now it’s harder for Team India. There are only three ODI matches. Sri Lanka won the first. India has to win the next two matches to win the series. India really cannot and should have a series defeat in her own backyard. Oh no. News. Match is being played in Mohali. The Sri Lankan team was stranded in the hill town of Dharamshala due to heavy rains. The plane could not take off. They don’t wanna drive down to Mohali. Yet. They will if the rains don’t stop. Dhoni and Kuldeep Yadav took the final Indian Score to a three digit figure. Yes they barely made it. 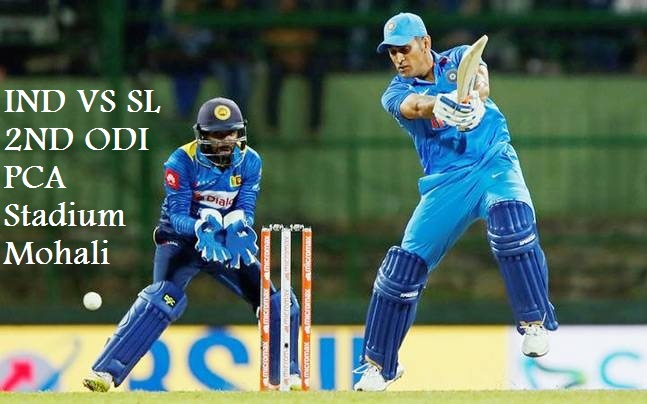 Sri Lanka began with a struggle but reached the target. India’s new temp captain needs to ensure a good win. Kedar Jadhav ruled out cos of injury.